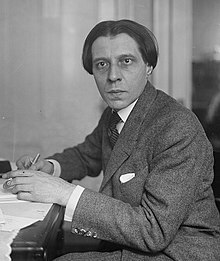 Alfred Denis Cortot (26 September 1877 – 15 June 1962) was a Franco-Swiss pianist and conductor. Infant prodigies do not necessarily become great musicians. I have had over three thousand pupils, and I am convinced that the proficiency which some display is no more than a manifestation of dexterity and an extraordinary natural imitative faculty of children. The musician's technique, in fact, should be as protean as the actor's. The best method of attaining this is by combining the qualities of the artist and the technician. To do this it is essential, that in addition to concentrating upon musical technique, one should keep in touch with the other arts. They provide that general culture to the musician without which he will never become a great artist. These two phrases are not connected. They are two different elements… of the same musical state. Here, like a question… And here again, another, tenderly asking the way. And from this moment, you should convey the music not just through the notes but through some kind of inspiration drawn from its immortal spirit. Now the sonorities should fade away…grow fainter and dimmer…and you are left simply in the presence of a reminiscent dream. Russian students? you ask. Yes, we have white Russians but not the Soviets. They have a wonderful school of their own which has produced superb musicians such as Sviatoslav Richter, Oistrakh, and Rostropovich. Those Russians that we have here chose freedom, but their Slavic temperament manifests itself just the same, and they have a marked talent for music. Alfred Cortot was always a controversial pianist. Some listeners revered his playing, particularly of Chopin, as the embodiment of essential Gallic virtues, intelligence, clarity and elegance. Others thought it pallid, mannered and inaccurate, particularly in his later years. There was in his playing a combination of intellectual authority, aristocracy, masculinity and poetry. Cortot had a unique style, and a Cortot performance could always (and still can be recognized from his records; he made hundreds) by its sharpness, point, clarity of line, unmistakable rubato, sheer intelligence—yes, and by its wrong notes, too.